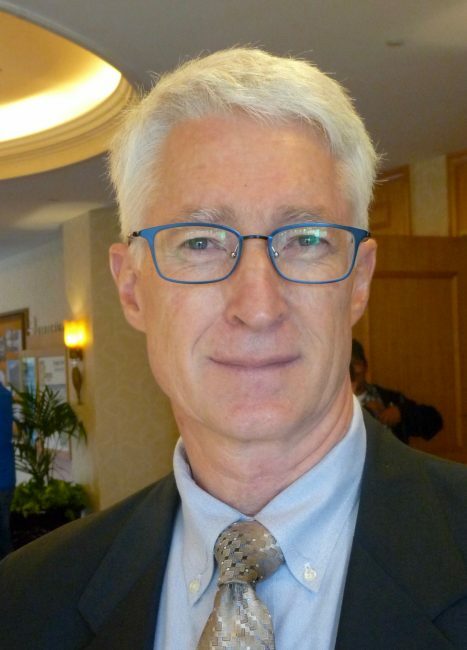 Brian Leahy is the Director of the California Department of Pesticide Regulation (DPR). Leahy was among the first organic rice growers, and he said he had a very intimate relationship with weeds. “I have lot of respect for weeds, and a lot of respect for weed management. So, with that, we know that weeds are an important challenge in agriculture and in our over society,” he said. Leahy noted that herbicide solutions are very cost effective when they work, but they come with challenges. “And those challenges include the Department of Pesticide Regulation. We are a science-based organization. We have about 400 employees; 300 of them are classified as scientists. We have well over 100 Ph.D.s, we have people with graduate programs from three different continents." Leahy noted that farm workers and farmers have the closest contact to pesticides, as do folks who are helping with cleaning, such as custodians and janitors. “I would really emphasize farm worker protection, the long-term studies on pesticides show that the folks most at risk are the handlers," Leahy said." Of course the other big thing we are supposed to do is protect our environment. That is actually getting to be a much more challenging endeavor. It includes our water quality, it includes pollinators, and off site movement." “The third component of our mission has been to foster reduced-risk pesticides. That can take all kinds of forms. We have been engaged in landscaping in this state, because we know which plant in your front yard or backyard is going to determine which pesticides and herbicides you need to use," Leahy said. "IPM tells you to look at your environment, so we are encouraging that. We are looking at cultural practices and ways to reduce the reliance on pesticides. So that is a part of our mission as well." One the most important relationships DPR has is with the county ag commissioners. “Recently, I spent the day with the County Ag Commissioner of Monterey County - a very challenging position," Leahy said. "We met a couple of Board of Supervisors, we met with labor folks, we met with public health officers, and we met with the superintendent of the school district, which has a lot of schools in the middle of farms. She also has a student population where 11 percent are homeless, some of the poorest students in the state in her school district. She is trying to ensure that her children are safe as they learn. And her relationship with her County Agricultural Commissioner is very important." “These County Agricultural Commissioners put about 300 biologists in the field to do pesticide enforcement and education. Enforcement is very important, education is even more important. So, we give them somewhere around $27 million a year to run their pesticide program. They do a very good job. So that is a very important relationship we have,” Leahy said. Leahy explained that DPR and CDFA have a very vigorous pesticide residue-testing program here in the state. “We test more products than the Federal government does. We look at what might be our biggest challenges and found ... cactus from Mexico with residues of Organophosphate materials, which [were] banned in the ’60s. If you ate them, it would make you feel like you had the flu. So we have begun to target what we think are some of the most problematic crops in countries,” he said. Leahy said that pesticides are kind of a challenging business because what they are doing is changing human behavior. “If we want to ensure that if you are producing food, you have the tools that you need; we simply want to make sure that those tools do the job and don’t keep moving and doing harm to your neighbors, yourself or the environment. But this collaborative approach is the only one that works, and we want to do that; a lot of active listening." Product registration is a very important part of the DPR program. Leahy said that introducing a new active ingredient into the market is a half-a-billion dollar endeavor. “There are years when we don’t see a new active ingredient. And other years, maybe you see four, which is a big number. Not a lot of new herbicides coming into the marketplace. And every time something comes in, there is a change, either a new AI or a even a new use. There are a lot of people looking at that,” he said. “I can tell you that the water community looks very closely at pesticides. Every time we try to introduce something new, something to control ants or something to control weeds, they want reassurances that it is not going to end up in the water supply, in the storm water, in the drinking water, all of it. The water community are our partners, so we have to listen to them." “Then we have all of the stakeholders like the Center for Biological Diversity and all those folks that really care about environmental issues, and they will sue you very quickly if they feel like there is going to be a challenge to one of their critters. So it is challenging to get in new chemistry. This is kind of a cautionary tale that the ag industry must be sure to use materials correctly. Resistance management should always be on our minds,” he noted. “A number of things have made us successful. I talked about the registration process, looking at the chemistry, and getting a really good idea of how that chemistry is going to behave in the human body and the environment before we put it in. “Looking at it as we go, we have an incredible system to collect data. We try to capture every pesticide illness in the state. We work hard to do that. We listen to people who have complaints and issues and we follow up and so we can direct our science to determine how to make it better,” Leahy noted. Recently, the National Academy of Sciences looked at the DPR program. According to Leahy, one of the things that they said was that DPR was "incredible at mitigation, which basically means that they figure out how that pesticide moves off-target." “We have made an amazing amount of progress. Society is always asking us to go further, and we will. This is a plug once again to remind you that weeds and insect pests are quick at adapting, that resistance is a real issue. We don’t want to lose tools because they are hard to replace. So mix it up,” Leahy said. “As we all know, there is no silver bullet for resistance - there are multiple ways of preventing resistance -so just keep that in mind. ... We want to keep the tools that we have, but we want to be able to use the new ones and the core of that is a prevention program,” Leahy said.